Search results for all FLOWER MOUND TX HOMES . "Cute two story lake house with guest house above detached garage! Shop has electric with an outdoor work bench with electric also and small wood shop. Home features a two story loft with a study. Views you do not want to miss! Heavily treed with a creek running in the back. Walking distance to Lake Grapevine. Easy access to horse trails and biking trails! 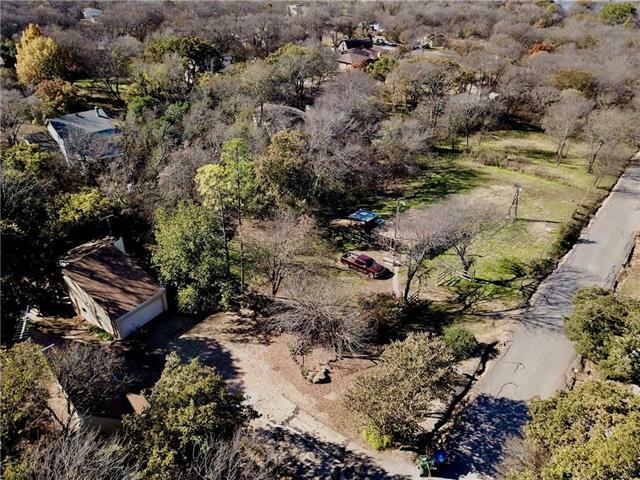 Main home is 1150 sq ft featuring one bedroom one bath with an office and guest house is 360 sq ft one bedroom studio with a full bathroom an"
"LOCATION-LOCATION--Close to everything including Timber Creek Park, UNDER 2 mi to schools, restaurants & grocery, only 3 mi to I-35 East! FRESH PAINT & CARPET in this CUTE starter home where front entry is tucked behind gate on side of the house--keeps out solicitors--win-win! Popular OPEN CONCEPT Living-Dining-Kitchen has bright white walls, SKYLIGHTS in vaulted ceilings, COZY fireplace & easy clean flooring! 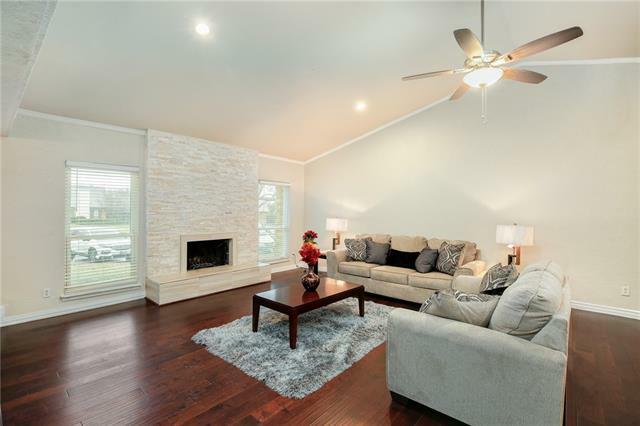 Kitchen offers Prep ISLAND w-bar seating, smooth counters, FULL-SIZE appliances "
"Adorable single-story home with a beautiful brick elevation and mature trees in the heart of Flower Mound! Inside you will find 3 bedrooms, 3 full baths, 2 large living areas, & oversized 2-car garage! Beamed ceilings create a spacious feel while a cozy wood burning fireplace accents the family living area! Upgrades include new wood-like flooring throughout, fresh paint tones, and much more!. 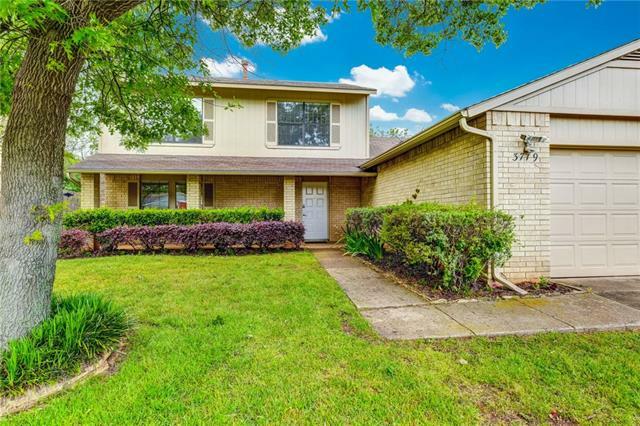 The remodeled kitchen is conveniently adjoined to the living area and boasts granite counters, an abunda"
"BEST OFFER DUE BY SUNDAY THE 21ST AT 7:00PM This SUPERIOR 1 story in cul-de-sac feeds into 3 top rated schools, is near parks, highways, shopping & restaurants, & 20 min from DFW Airport! Hardwood flooring in living, dining & hallway. Light and bright kitchen with granite countertops. Master BR is tucked away at the back of the home and features a separate shower, jetted tub and dual sinks. Move in Ready! This street and driveway have been updated within the last year. Open floor plan. You're s"
"Lovely 4 bedroom two and half baths home in a great location! Completely remodeled! New roof, new floors, new paint, showers, sinks, faucets, electrical outlets, lighting, garage door opener & garage door, granite in master bath, front door, etc. In recent years HVAC, Water Heater, kitchen cabinets & back splash, base boards, windows, and some additional items were all replaced." "Exceptional opportunity to put the much needed TLC into this property to make it a forever home. This property offers over 2700 sqft of living space, 4 bedrooms and 2.5 bathroom. Easy access to area amenities and great schools. SOLD AS-IS." "Wonderful & Updated! The Master, and half bath are down. New Granite in the Kitchen, and all bathrooms, with new sinks and faucets. 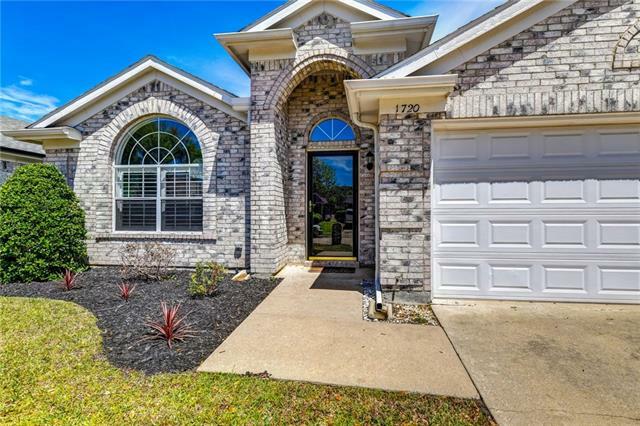 Newer Engineered Wood Laminate Flooring throughout the Family, dining, and Master suite, New Backsplash in the Kitchen, and large windows to view the huge backyard, which is great for entertaining. Some fresh paint throughout, and the HVAC units are approx 5yrs. Newer windows in the Master Suite, Open concept, with tons of natural light. Large bedrooms upstairs, wi"
"Owners pride shows in this beautifully updated, immaculate, warm and inviting home. The heart of the home is the great room, with wood burning fireplace, wet bar and large dinning area. Granite counters and stainless steel appliances included in the inviting kitchen. Enclosed back patio overlooks the sparkling pool and spa. Master bathroom has a HUGE walk in shower. Plenty of parking for guests as the elementary school is across the street. Walk to the parks close by in the neighborhood. 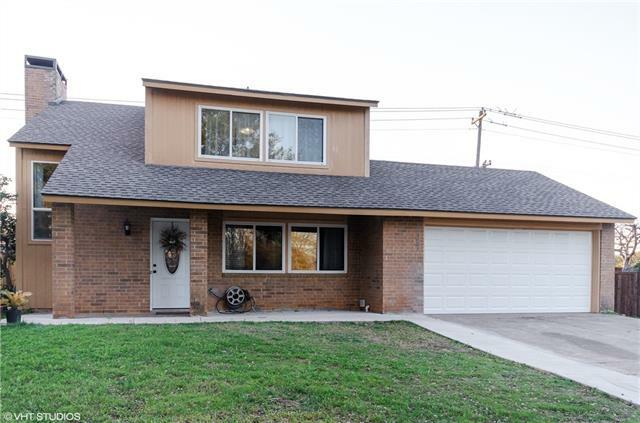 Enjoy "
"Beautiful and spacious remodeled 3 bed, 2 and a half bath home with a huge backyard and lots of updates on a cul-de-sac with extended private drive and gate! Completely brand new kitchen with new white cabinets, granite, back splash and stainless appliances! Breakfast nook with built-in storage and pantry. Open living area and formal dining with vaulted ceilings, stacked stone fireplace with wood floors. New carpet in all bedrooms plus new paint throughout! 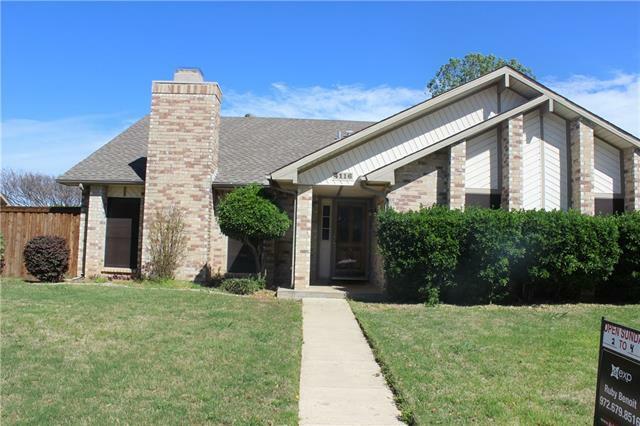 Master suite is over-sized with bay wi"
"CHARMING SINGLE-STORY IN THE HEART OF FLOWER MOUND! NEW CARPET in 2019! You will fall in love with this open floorplan graced with extensive ceramic tile floors, crown molding, vaulted ceilings & neutral colors. 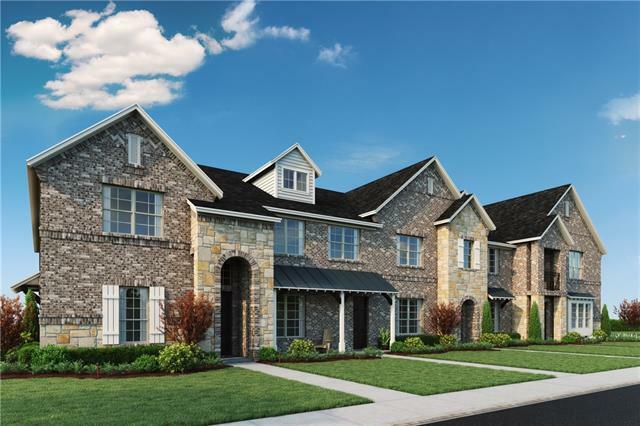 Prepare meals in the gourmet kitchen featuring granite counters, an island & eat-in breakfast area or host in the large family room accented with a brick fireplace. Escape to the private master suite showcasing a bay window sitting area, separate vanities, a beautiful updated shower, gar"
"Cute two story lake house with guest house above detached garage! Shop has electric with an outdoor work bench with electric also and small wood shop. Horse barn has stalls with electric running to the barn. Home features a two story loft with a study. Views you do not want to miss! Heavily treed with a creek running in the back. 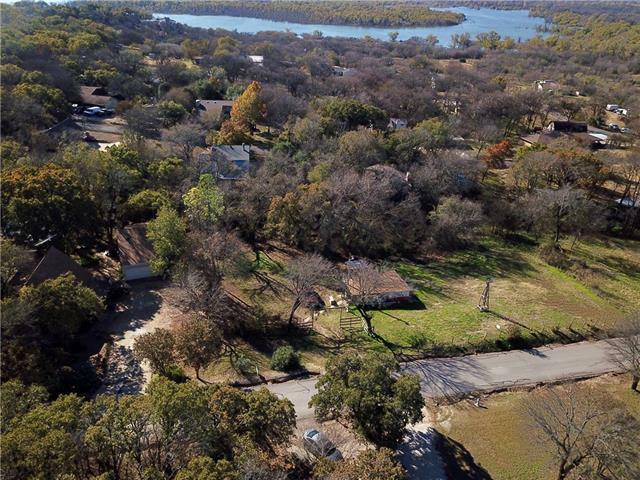 Walking distance to Lake Grapevine. Easy access to horse trails and biking trails! Main home is 1150 sq ft featuring one bedroom one bath with an office and guest house"
"All the work has been done for you! Updated kitchen with new cabinets, granite countertops and slate flooring. Spacious master bedroom on first floor with updated bathroom, separate shower and jetted tub and huge walk in closet with pull out drawers and shelving. Home has recently been painted and new carpet installed. Three oversized secondary bedrooms up. All bathrooms have been updated. Tankless water heater! Storage building! 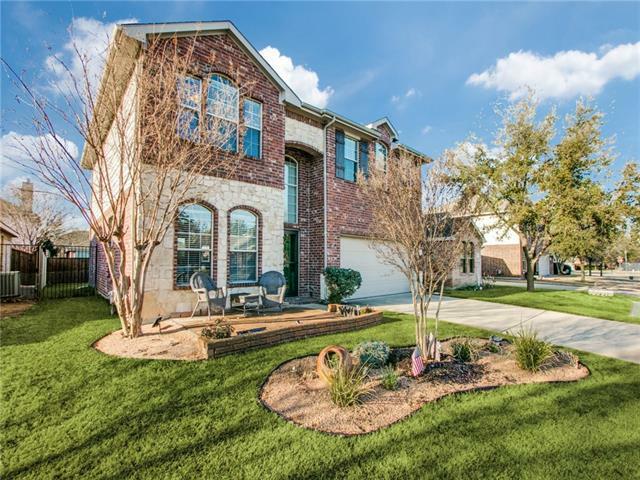 Large backyard and covered patio are perfect for outdoor ente"
"Beautiful one story home in the heart of Flower Mound. 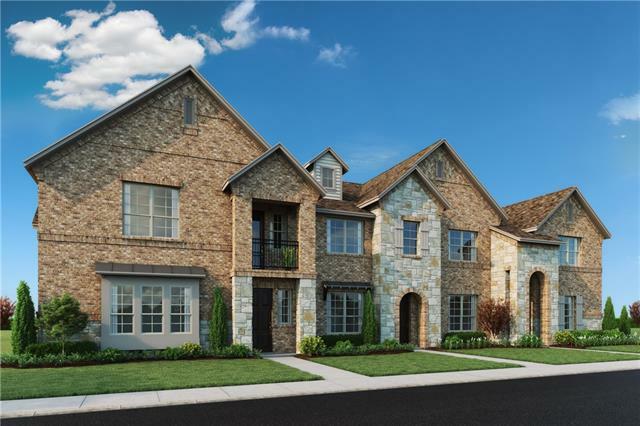 Walking distance to the new Flower Mound River Walk, hike and bike trails and the new restaurants and shopping along the River Walk. 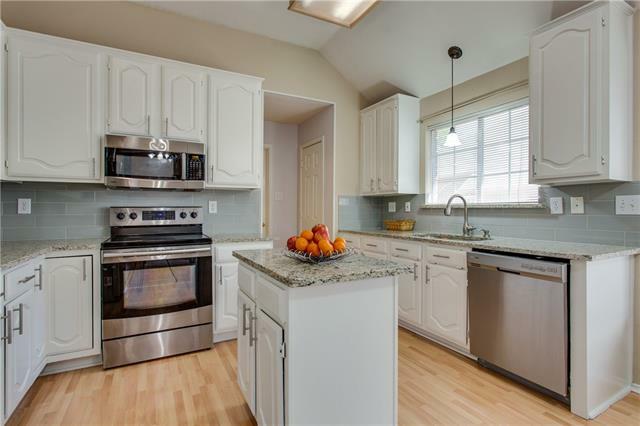 Fantastic updated kitchen, new cabinets with soft close hinges, granite, new appliances and a sky light. Granite counter tops in both bathrooms, plenty of natural light throughout this amazing home. Plantation shutters in front living area, dining area and the master. Neutral colors throughout. 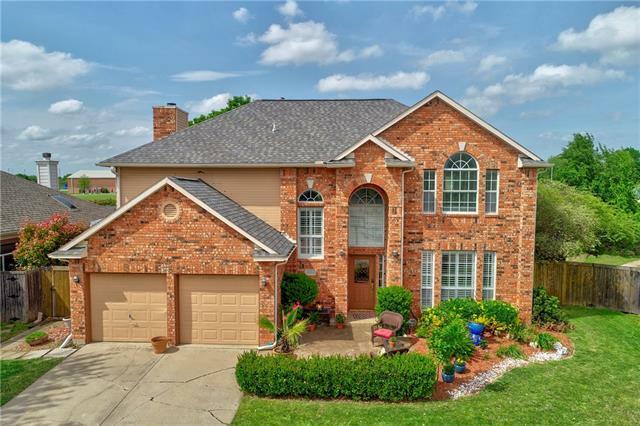 Landscaping "
"A beautifully updated home with a pool, on an almost one half acre corner lot, in the heart of Flower Mound! Serenity washes over you from the moment you enter, & follows you, as you are captured by the 25X21 ft relaxing covered patio that doubles as a greenhouse in the winter months! The deck & wood screen affords privacy for the pool area! The master bedroom is a sanctuary that includes a large sitting area & luxury bath. A separate bedroom has a walkin closet & full bath. Updates include woo"
"Beautiful home located blks away from The Riverwalk area in Flower Mound. Fabulous layout for entertaining. *Beautiful hardwood floors* Enjoy family meals in your well laid out kitchen featuring a great breakfast area, stainless appliances, and island. *Water heater replaced in 2017, carpet replaced in 2018, sprinkler heads and sprinkler control panel replaced in 2017* Serene backyard complete with 20 ft deck, fire pit area, and 8 ft privacy fence. Master bath features a large walk in shower "
"Beautiful home with open floor plan. Large tiled entry leads to formal dining with crown molding. Spacious kitchen has granite countertops, recessed lighting, gas cooktop, breakfast bar and breakfast area. The kitchen opens to the main living area, which has a fireplace and vaulted ceiling. Upstairs has a second living area, with built-in desk and three secondary bedrooms. Master is on the first floor has wood floors, recessed ceiling, and its own door to a private patio. The backyard has a larg"
"Welcome home! This stunning creek lot wont last long. Living space and kitchen were all designed by a professional designer. Colors and style flow very well with the picture perfect view of the back yard. Plenty of floor to ceiling windows add great natural light. Living and kitchen have wood style tile that is very user friendly for a active family. Fireplace off dining living space adds warmth to the open kitchen concept. Large covered patio off the french doors from kitchen. 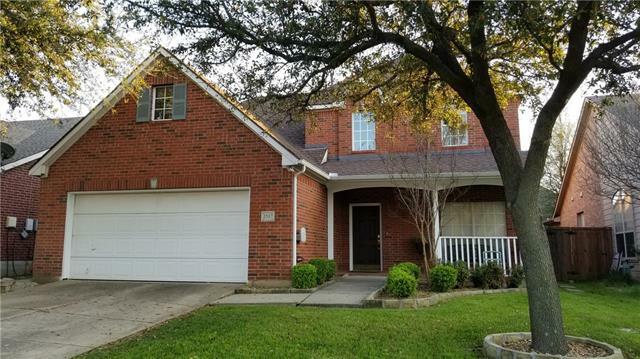 Large master is d"
"Beautiful 3 bedroom, 2.5 bath home featuring HW floors on first floor, updated decorative lighting, recently painted interior (2017) & exterior (2018), & newer carpet (2018). Nicely updated kitchen w beautiful granite counters, SS appliances, & island that opens up to family rm w brick, gas fireplace. Spacious master up w sep frameless shower, garden tub, dual sinks, & granite counters. 2 addt'l bdrms & full bath upstairs. Privacy fenced backyard w plenty of space for outdoor activities. 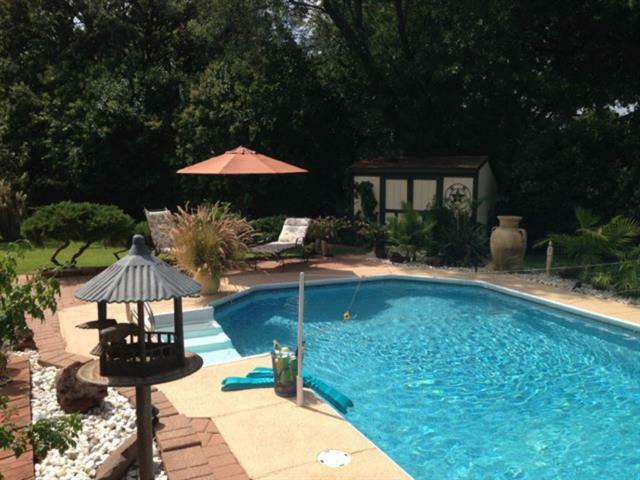 Great "
"WELCOME HOME to this updated retreat with sparkling pool on a cul de sac in Tealwood Oaks. The open concept living areas with soaring ceilings are connected with a see-through gas fireplace creating a cozy space for relaxing at the end of the day. Let your inner chef be inspired in this spacious eat-in kitchen with island, white cabinets, granite countertops, & updated decorative backsplash. Host gourmet dinner parties in your formal dining area. 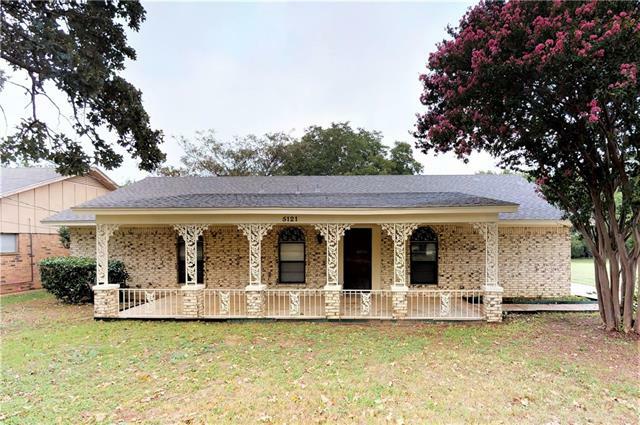 Retire to your master suite featuring garden tub,"
"BEAUTIFUL 3 BEDROOM 2 BATH HOME IN FLOWER MOUND! Light and bright with fresh interior paint and carpet. Awesome living spaces make entertaining a delight! All bedrooms up with game room and upstairs laundry! Spectacular backyard with lush landscaping, awesome pool and hot tub. Excellent privacy with no backyard neighbors! Easy access to Lamar Middle School through gate in the backyard. No HOA! Close to shopping, restaurants, beautiful walking trails, exemplary schools and 15 minutes to DFW a"
"MOVE ON UP TO THE EAST SIDE!!! 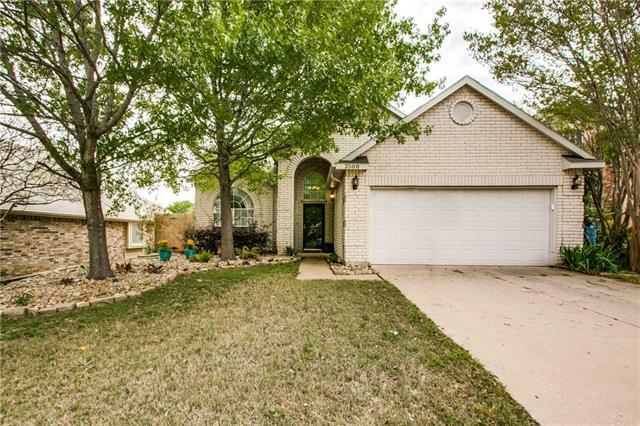 Come see this highly sought after 3 bedroom, 2 bath Ranch style home in Flower Mound with a pool! This home features high ceilings, 2 living areas with an open and flexible floor plan. Updated from top to bottom including granite countertops in kitchen and marble countertops in the master bath. Porcelain tile flows throughout the entire home with double doors leading to the outside patio and pool area. Includes plantation shutters, double sided fireplace, and a gas"
"CB JENI HOMES CARSON floor plan. The first step you take will assure that this home is perfect for anyone wanting a luxury home with low maintenance. Beautiful 20 foot ceiling gives you all the natural sun light you could ever want or need. For the size, this home has some BIG treasures!! It feels a lot larger than 1552 sq.ft. too! Buy what you want and save! You'll need the savings to fill up your large kitchen pantry and master closet. You will fall head over heels for this amazing home!" "BEAUTIFUL FAMILY HOME with great curb appeal and inviting outdoor conversation area in front. 3 Living areas, ample bedrooms and huge closets. Recent updates include new paint and wood-look (low maintenance) tile flooring. Neutral colors throughout. Family room opens to kitchen, large walk-in pantry. Fenced backyard and extended patio perfect for dining alfresco or pets. Walking distance to two parks and the exemplary Prairie Trail elementary. Master suite with garden tub, separate shower"
"CB JENI HOMES HAMPTON floor plan. GREAT Value! GREAT Product! GREAT Warranty! GREAT Location AND GREAT Schools!!! Come see our BRAND NEW community, The Villas at Southgate. New stainless steel appliances with built in 4 gas burner stove and PREMIUM Cabinetry with luxury finishes everywhere! Tankless water heater, energy efficient home and CONVENIENT location! What else is there?"